Do you love beer that’s bursting with big, hoppy flavor? Are you looking for an easy way to add not just bitterness, but aroma? Then dry hopping, or adding hops during fermentation, might be just what you’re after. In days of yore—or at least, in the past few centuries—British brewers added fresh hops directly to the serving casks of pale ales and IPAs in pursuit of hoppiness. But here in the twenty-first century, you don’t need to own a pub to take advantage of dry hopping. With a few simple tools, your favorite hops, and the right timing, you can get the same flavors and aromas the pros enjoy. The trademark bitterness that gives most beers their bite comes largely from hops. And traditionally, that bitterness is added by tossing hops into the wort while it’s still in the brew kettle. These hops are known as bittering hops, and they often contain high concentrations of resinous compounds known as alpha and beta acids, as well as essential oils. But while boiling encourages hops to release those acids to add crispness and a bitter tang, it also vaporizes the essential oils that provide floral notes. That’s why aromatic hops are added to beer toward the end of the boil to impart their more delicate scents and flavors to beer. But even a short time in boiling wort can destroy much of the aromatic hops’ potency. That’s where dry hopping comes in. Adding hops during fermentation gives your homebrew a huge blast of flower power. The essential oils in the hops are preserved instead of boiling away or dropping out. 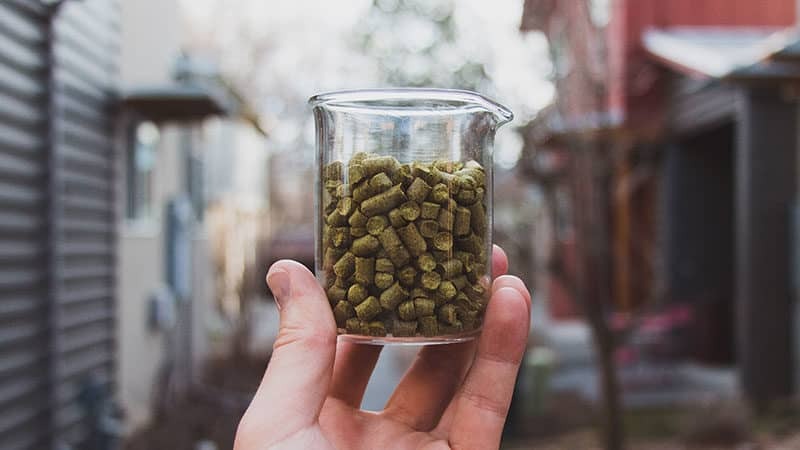 To get a better understanding of how dry hopping works and why it’s beneficial, you first need to know a little more about the three most important chemicals in hops. Alpha Acids – They not only give beer its bitter flavor, but also prevent the growth of unwanted bacteria, and promote fermentation of the wort. When hops are boiled for an hour or longer, alpha acids are transformed into isomerized alpha acids, also called iso-alpha acids. They’re a more soluble compound responsible for giving your beer its delicious bitterness. A beer’s iso-alpha acid content in parts per million determines its IBUs. Beta Acids – They also add to your beer’s bitterness, but more importantly, they extend its shelf life. Beta acids oxidize during the fermentation process, which means they lose electrons from their atoms, thereby changing their composition. Be sure to keep an eye on beta acids while brewing because their oxidation can negatively affect your beer’s flavor. Essential Oils – They’re what add aroma and flavor to your brew. Because they’re much more volatile than alpha and beta acids, the essential oils from bittering hops will evaporate. This is why a recipe may call for you to add more hops during the last 5 to 15 minutes of your boil, at flameout, or by dry hopping. 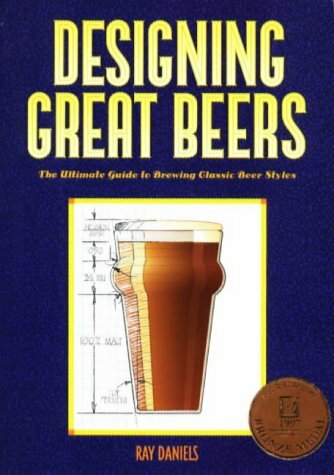 In his book, Designing Great Beers: The Ultimate Guide to Brewing Classic Beer Styles If you click this link and make a purchase, we earn a commission at no additional cost to you. , Ray Daniels says dry-hopped beer has a fresher hop taste that “may be more spicy or resinous” than beers hopped solely in the kettle. If you’re after those big, bright, hoppy aromas and taste, dry hopping will give them to you in spades. Sure, you could could try growing your hops hydroponically in your keg or carboy. But you’ll probably want to skip the mad science and use one of three common methods for dry hopping your beer. If you’ve been in the homebrewing world for a while, you’ve probably heard that adding hops to the primary fermenter is a huge no-no. The argument goes that adding hops during fermentation “breaks the seal” and increases the risk of bacterial contamination. But the truth is, adding hops to your primary fermenter is just fine. Bacteria aren’t likely to hitch a ride with hops because the flavorful little flowers are inherently antiseptic thanks to their alpha and beta acids. This property, incidentally, is why hops were also prized as preservation agents in the days before kegerators roamed the earth. Make sure you add the hops before fermentation is complete so the active yeast can scavenge any excess oxygen, work their magic on the hop compounds, and help support the hops in their antibacterial efforts. Important: Dry hopping in the primary fermenter can get messy if you aren’t careful. Adding whole hops (also known as cones) to beer that’s fermenting might result in a clogged blow-off tube, a blocked airlock, or even a rather spectacular explosion. Seriously. You can keep things tidy, and reduce the risk of a messy mishap, by either using hop pellets or containing your whole hops in a muslin bag or infusion tube. If you use a carboy as your primary fermenter, an infusion tube is definitely the way to go, since a bag will swell with moisture and get stuck like the world’s grossest ship in a bottle. 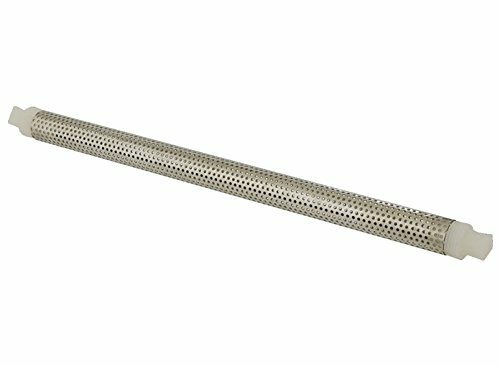 Narrow and made with strong mesh, an infusion tube If you click this link and make a purchase, we earn a commission at no additional cost to you. 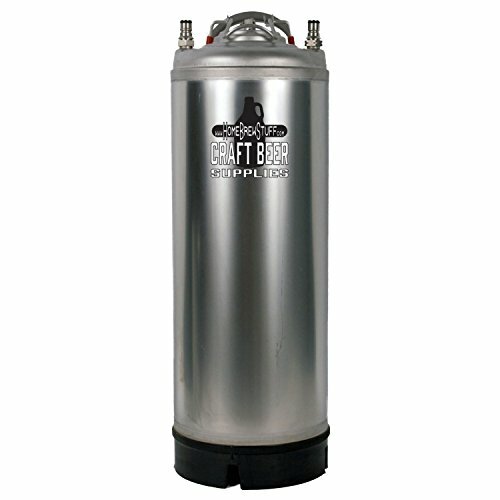 lets you add whole hops to your carboy with ease. Some of the more pleasant aroma compounds found in hops may be scrubbed, or removed by chemical reactions, during primary fermentation. Some hop oils attach themselves to, and escape with, CO2, while others latch onto yeast cells and get dragged into the trub when the yeast flocculate, or fall out of solution. Adding hops during the secondary fermentation can help balance these losses. Doing so also lets you layer your flavors and scents if you’d like to use different hops during the two phases of fermentation. The hops find a different environment in the secondary fermenter. The vigorous CO2 bubbling of the primary is finished, so the hops won’t lose their aroma compounds to scrubbing. And bacterial contamination is even less of a threat, since the wort has a higher alcohol content, less available oxygen, and lower pH. Adding hops, whether whole or pellets, is especially easy if you use a fermentation bucket as your secondary fermenter. You won’t have to worry about hops clogging the blow-off hose or the airlock. And unless you’re using Santa’s bag to soak your hops, there’s no need to worry about your hops getting stuck. Oh, and definitely use a bag If you click this link and make a purchase, we earn a commission at no additional cost to you. . Clogs might not be an issue, but cleanup is. 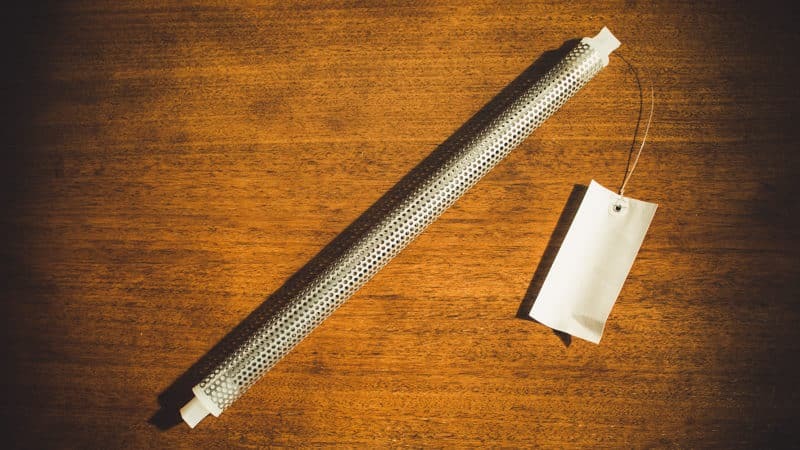 If you’re using pellets instead of plugs or whole hops, keep in mind you’ll need a bag with a very fine mesh to contain the powder that remains after the pellets break apart. If you’re dry hopping with a carboy in the secondary, the hop infusion tube If you click this link and make a purchase, we earn a commission at no additional cost to you. is still the safest bet, whether you’re using whole hops, plugs, or pellets. As with the primary fermentation, the biggest risk of dry hopping during the secondary is letting unwanted oxygen slip into your beer, spoiling it. You can reduce these risks by using pellets and adding them very gently to reduce splashing. If you’re using whole hops, try first submerging them in boiled-and-cooled water. This will reduce, but not eliminate, excess oxygen. You can also tap into the power of any oxygen-scavenging yeast by adding the hops to the secondary fermenter and racking your beer on top of it a few days before fermentation is totally complete. Go ahead—toss ’em into the cask, inkeep. You can emulate the brewmasters of old with this traditional method. But as with the other methods of dry hopping, we do recommend using a bag If you click this link and make a purchase, we earn a commission at no additional cost to you. to keep your hops under control and out of your lines and tap. After all, nobody wants a free salad with their beer. Containing your hops is also beneficial since you’ll be limiting the time they spend in the keg. After 3 to 7 days in the keg, the hops provide little additional aromatics or flavor. In fact, there’s a chance your beer will develop unpleasantly grassy or otherwise funky flavors if the hops overstay their welcome. So while flavors certainly do evolve with age, if this is a concern for you, plan ahead to add and remove the hops without adding dreaded oxygen into the mix. Once again, O2 is the bad guy. 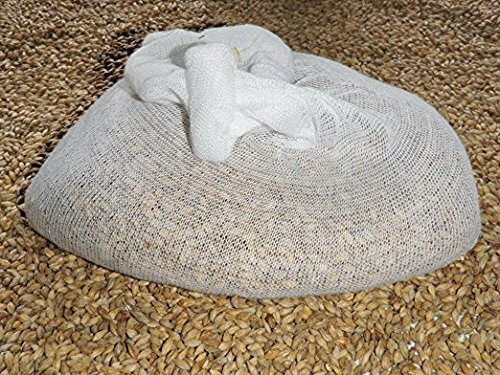 Add your bagged hops to the keg If you click this link and make a purchase, we earn a commission at no additional cost to you. before you add the wort, and then purge excess oxygen with a blast of CO2 before racking the beer on top. Because CO2 is heavier than oxygen, it provides a protective blanket of gas to cover the hops and avoid oxidizing your homebrew. Whether you’re growing hops in your own backyard or carefully curating noble hops for your newest award-winning IPA, the “right” hops for dry hopping are the ones with the aromas and taste you like best. If you don’t like it on the bine, you might not like it in your stein. You can also match your hops to the origin and style of the beer you’re brewing. For instance, you might use English Goldings when you’re brewing an IPA, or a mild Sovereign to bitter but not overpower your stout. If you’re technically inclined, why not hop (sorry) over to an online pairing tool? 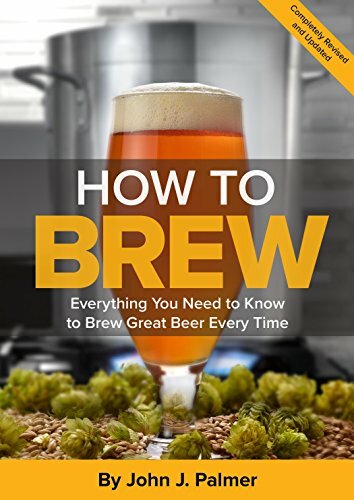 You’ll find a range of hops to add the perfect blend of bitterness and flavor to the style you’re homebrewing. No matter what kind of beer you’re brewing, it’s hard to go wrong with classics like Cascade, Fuggles, Saaz If you click this link and make a purchase, we earn a commission at no additional cost to you. , Styrian or East Kent Goldings, Hallertauer, Tettnanger If you click this link and make a purchase, we earn a commission at no additional cost to you. , and Willamette. If you’re looking for something a bit more avant-garde, consider hop styles such as Amarillo® If you click this link and make a purchase, we earn a commission at no additional cost to you. , Glacier, Lemondrop If you click this link and make a purchase, we earn a commission at no additional cost to you. , Opal, Sovereign, Palisade, Wai-iti, and Citra. Half the fun of homebrewing is experimenting. But if you’re looking to make smart hop choices, following a few ground rules will help you steer clear of a catastrophe. Give your hops and grains a taste before you brew to get a sense of how they interact, and whether you’d enjoy a twelve-pack or two with those scents and flavors together. Avoid using hops with any perceptible onion, shallot, or garlic flavors and aromas. Those flavors will show up in your beer, so unless you’re trying to kill the vampire who’s been stealing your homebrew, walk away. If you’re a package reader (aren’t we all? ), look for aroma hops with low concentrations of alpha acids—at or under 6%. They tend to have more essential oil content, and a bigger presence in your homebrew. Don’t go overboard, though. You tend to use more actual hops when you use low-alpha varieties, and that means greater risk for grassy and vegetal flavors in your beer. The taste and smell of a raw hop can give you some hints at how it’ll finish in your homebrew. But you can borrow some tech from another brewing hobby—making good coffee—to get an even better idea of your hops’ potential. Grab your French press. Dry hopping just went continental, mon amie. 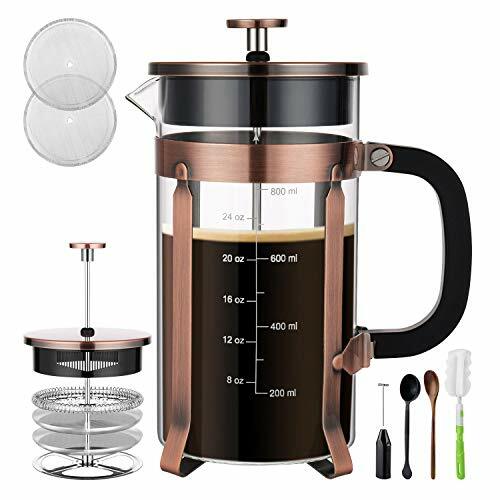 Place a sample of the hops of your choice—pellet, cone, or raw—into your French press If you click this link and make a purchase, we earn a commission at no additional cost to you. and add enough pale ale to cover them completely. Give it fifteen minutes or so, then press the plunger down and pour the beer into a glass and taste it. It’ll likely be a bit flat, since the pressing pushes CO2 out of suspension. But it also extracts the essence of the hop and will give you a good idea of how the hops will contribute to your next beer. How Many Hops Should You Use? Shoot for between .5 and 4 ounces per 5-gallon batch. Anywhere from .5 to 1 ounce can work for American pale ales. You can use up to 2 ounces for IPAs, and 2 to 4 ounces for double IPAs. Ask yourself: What characteristics do I want to add with these hops, and how strong do I want those characteristics to be? For instance, Citra hops If you click this link and make a purchase, we earn a commission at no additional cost to you. are olfactory bruisers and will yield an intense aroma at quantities as small as 1 ounce per 5-gallon batch. Other varieties, such as East Kent Goldings If you click this link and make a purchase, we earn a commission at no additional cost to you. , are far less potent and will need larger quantities to stand out in your finished homebrew. Other hops have distinct flavors that can make balance especially tricky. The Sorachi Ace has a flavor not unlike lemon Pledge. A little bit goes a long way. Again, smelling and tasting your raw ingredients is the key when sizing hops for your batch. Keep in mind that dry hopping adds a much stronger and fresher hop aroma than adding hops during the boil. Trust your gut, don’t be afraid to experiment, and don’t shy away from big flavors. Pellets, Plugs, or Whole Cones? 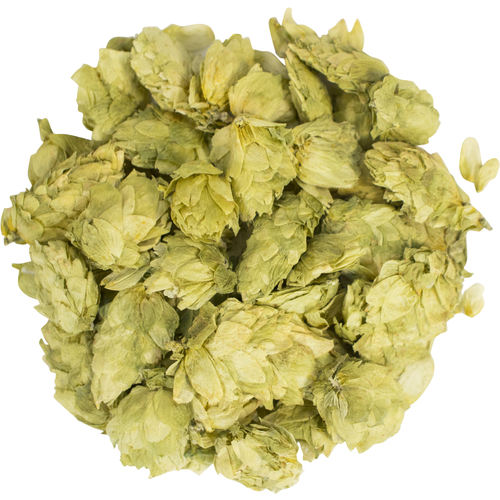 Like their boiled counterparts, the hops used in dry hopping are available in three forms. Although pellets usually contain lower concentrations of essential oils than whole cones, they’re more easily extracted and produce more aroma. They’re also less likely to harbor bacteria than their whole-flower cousins. Plus, they offer a longer shelf life and are easier to manage because they don’t float. If they’re loose, they break apart and fall to the bottom of your vessel, which makes racking the beer much easier. Not that we’d recommend leaving them loose. The pellets make a sludge that’s hard to strain, so a bag is pretty much essential If you click this link and make a purchase, we earn a commission at no additional cost to you. . Just remember, the mesh needs to be very fine so you don’t have tidbits floating around in your wort to make extra trub. Be especially careful when you add hop pellets to your beer, because they foam when they come into contact with CO2. More robust than pellets and with benefits similar to whole hops, plugs walk the line between the other two options. They stay fresh longer than whole hops, and they’re made specifically for dry hopping. Plugs are packaged in convenient units that eliminate the need for weighing, which adds to their convenience. However, they can be hard to break down into small bits, so keep your bag or infusion tube handy. The granddaddy of hops, whole cones have the best aromas and freshest flavors, but a limited shelf life. They’re easy to strain, but they swell up and absorb some of your wort on their way out. Oxidized beer is also a bigger risk with whole cones because the flowers create lots of nooks and crannies for O2 to hitch a ride. Whole cones also float, which can further raise the risk of oxygen contamination. You can address this issue by weighing down your hops bag with well-sanitized stainless steel washers or marbles. How Long Should You Dry Hop? Some folks have even conducted extensive first-hand experiments in search of the “perfect” dry hopping time frame. But the right amount of time to dry hop your beer is really up to you. Your goals and your taste buds set the standard. It’s useful to remember that pellet and plug hops release their extract at different rates. Aroma compounds in pelletized hops are extracted in as little as a day or two, whereas whole cones can take a week or more. But longer extractions, especially with pellets, also increase the presence of compounds called polyphenols that can improve the shelf life—but also potentially ruin the flavor—of your beer. As a rule, if you’re after a beer so hoppy it delivers chocolate eggs to children, use pellets and keep your dry hopping short and sweet. Why settle for another middle-of-the-road beer when you could be crafting a hop-forward masterpiece? All of the delicious and delightful nuances of hops are at your command with dry hopping. Choose the hops you love, and add them to your fermenting wort. Mix and match. Experiment. Big hops flavor, and homebrewing satisfaction, are waiting.